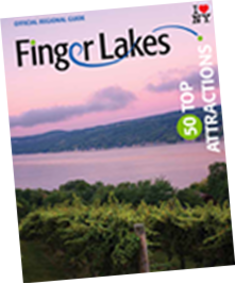 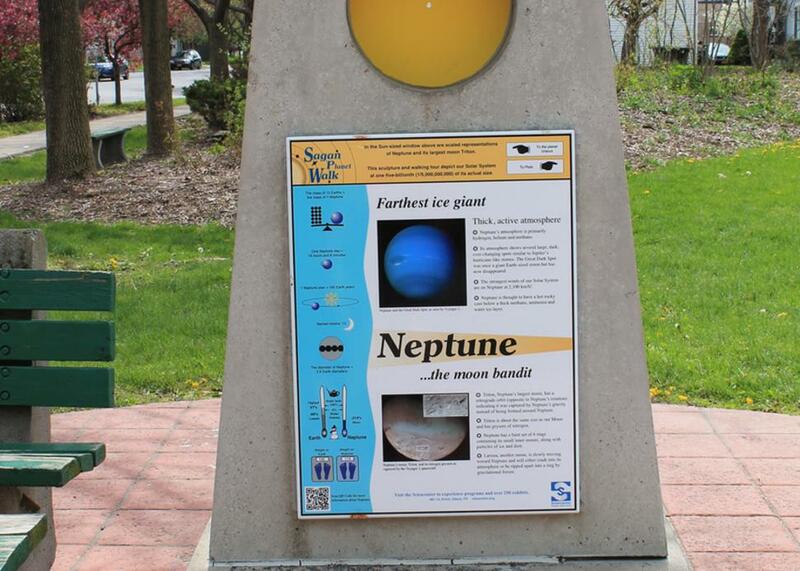 Take an out-of-this-world visit along the Sagan Planet Walk! 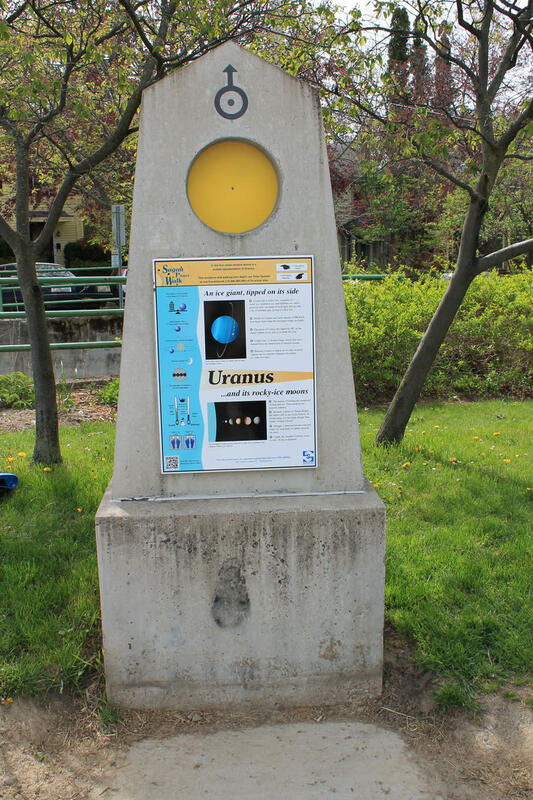 This 1,200 meters long (3/4-mile), 1:5 billion, scale model of our solar system was built by the Sciencenter in 1997 as a memorial to Ithaca resident and astronomer Carl Sagan. 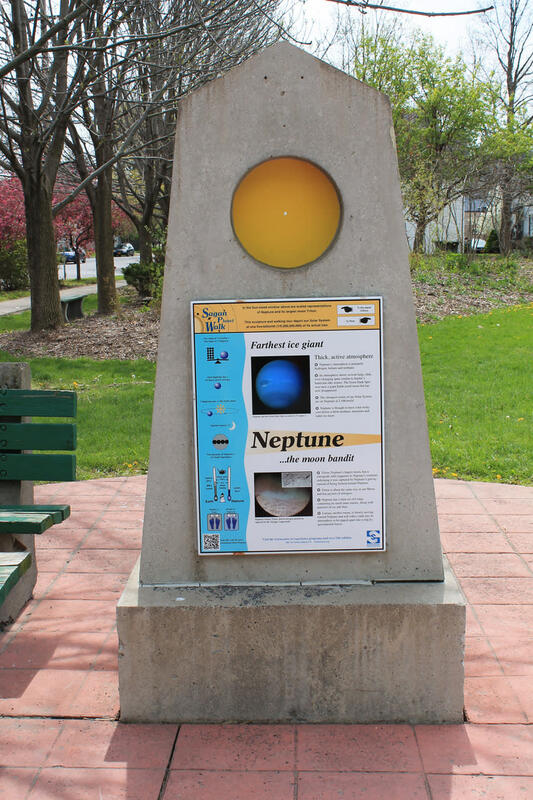 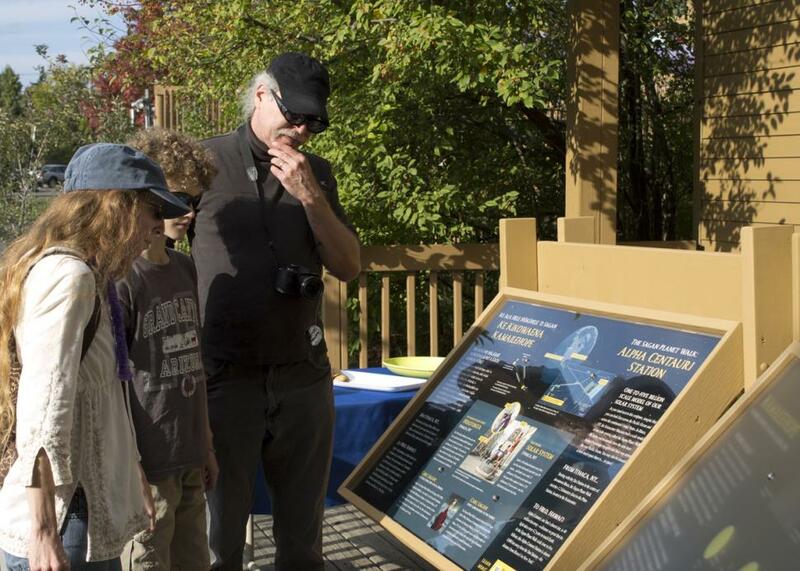 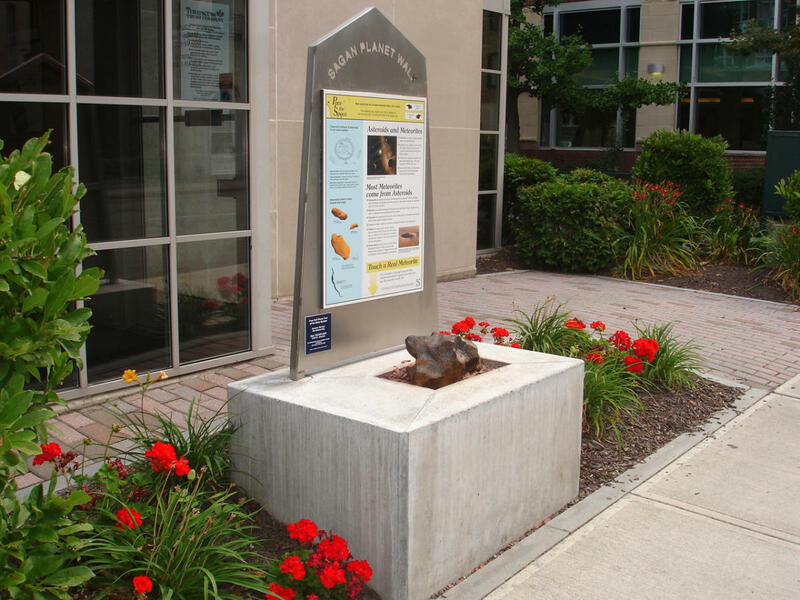 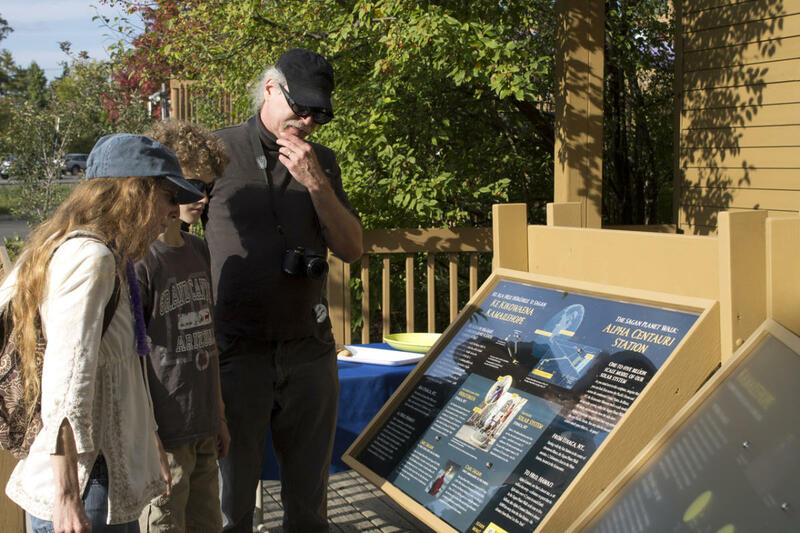 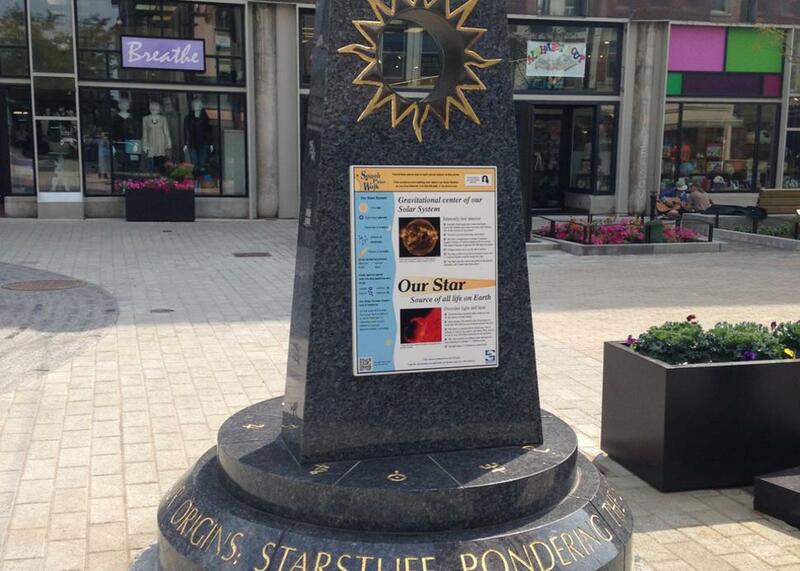 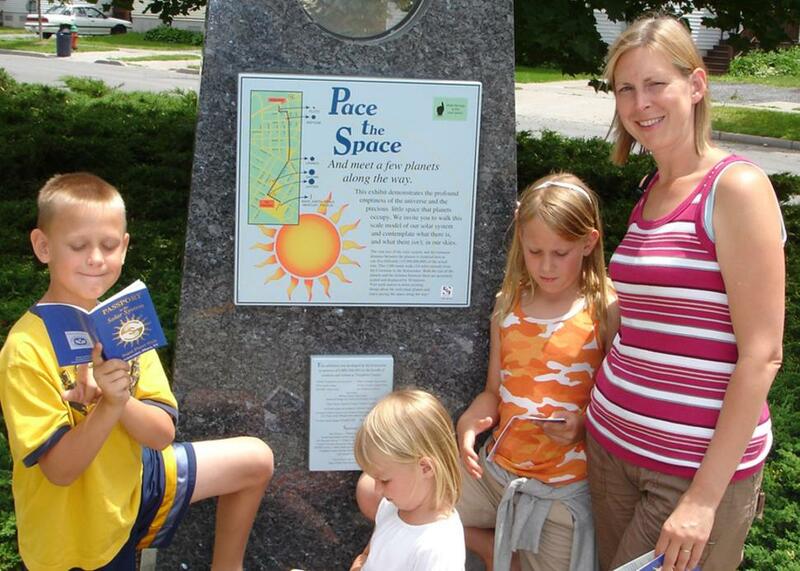 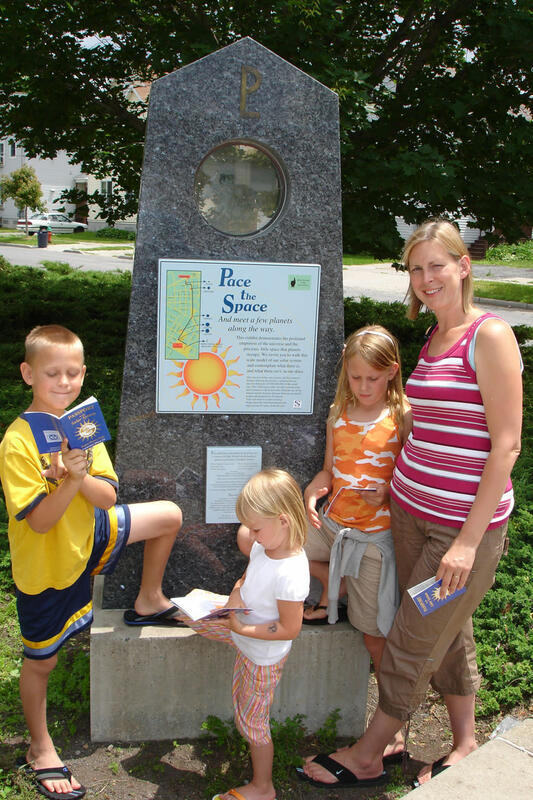 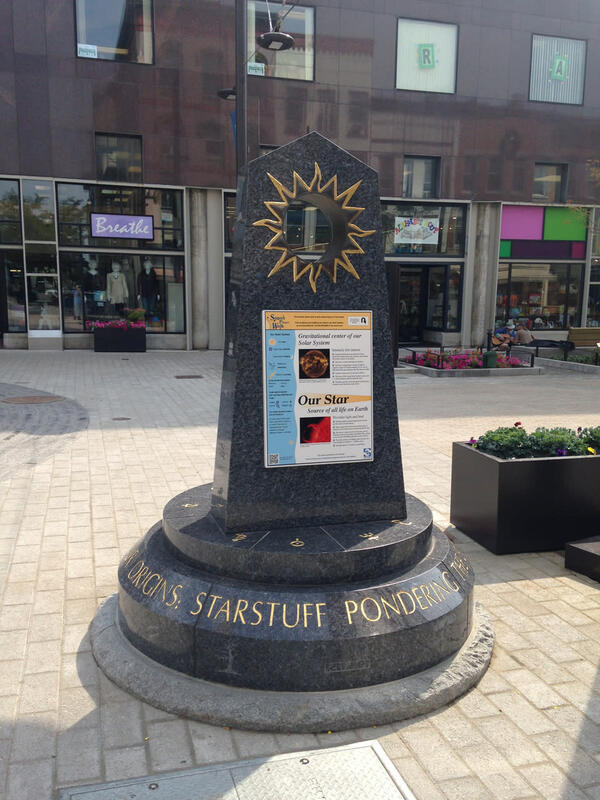 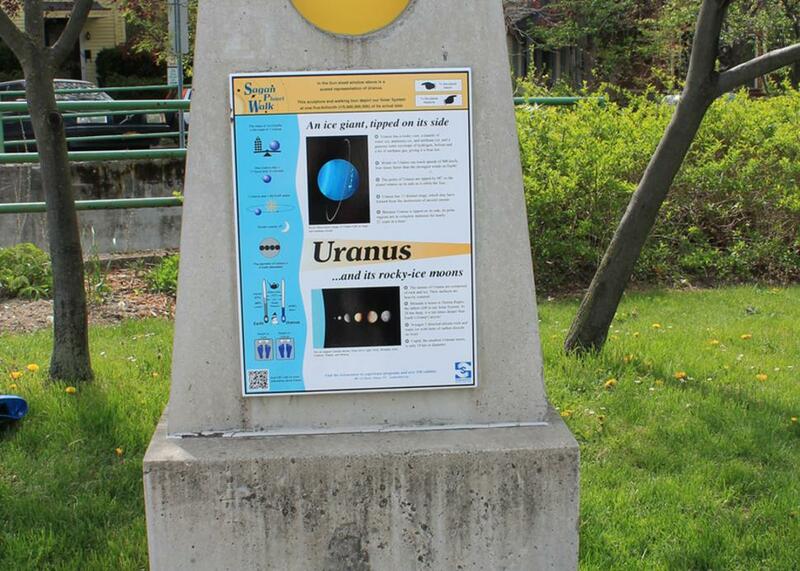 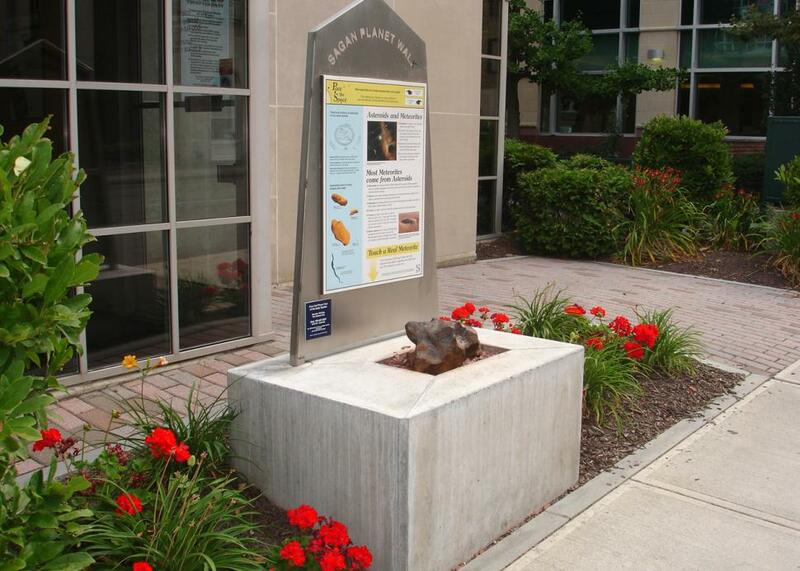 The walk begins with the Sun station at the downtown Ithaca Commons and ends at the station representing the dwarf planet, Pluto, located at the Sciencenter. 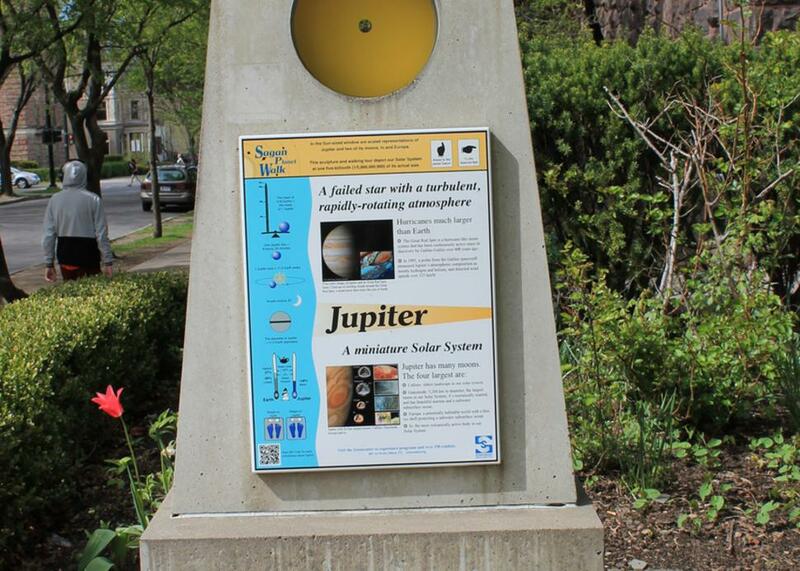 Each station has a scale model of the planet and an informational plaque. 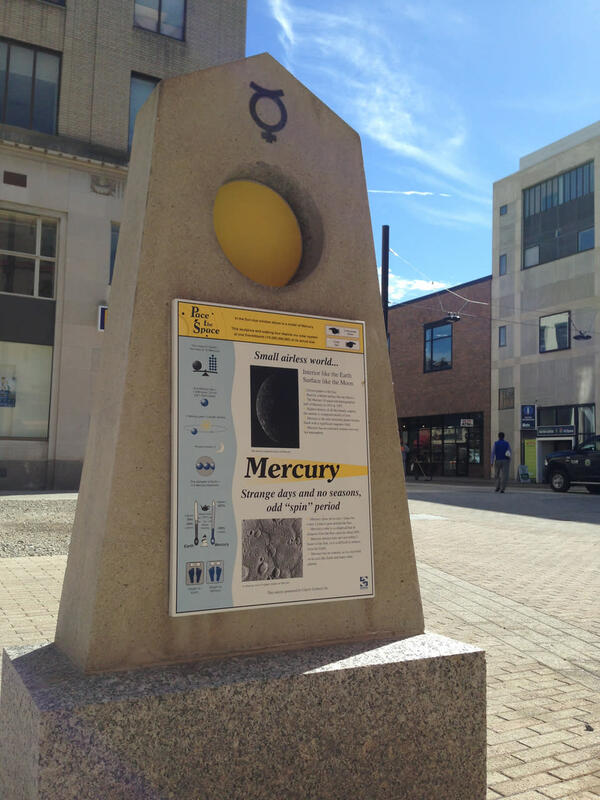 Along the way, you might discover that the sunny side of Mercury is hotter than a pizza oven, or that it rains strong sulfuric acid on Venus, or that a year on Pluto takes 248 Earth years. 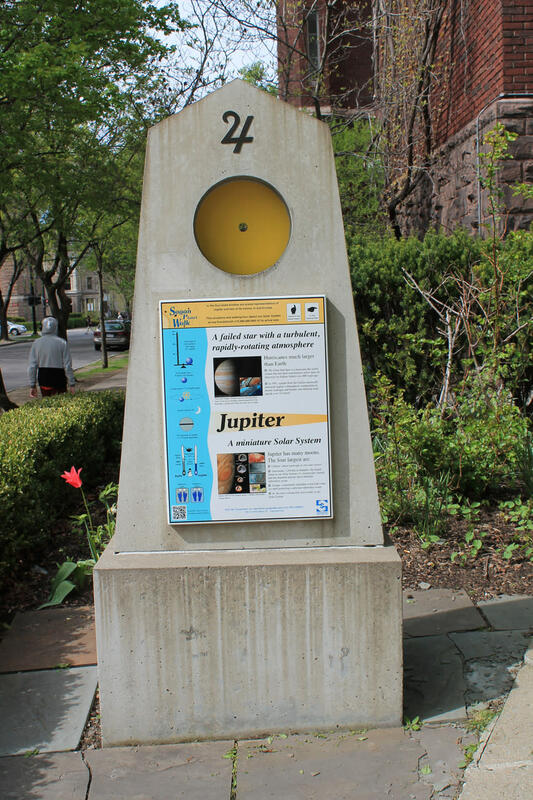 Planning to land on Jupiter? 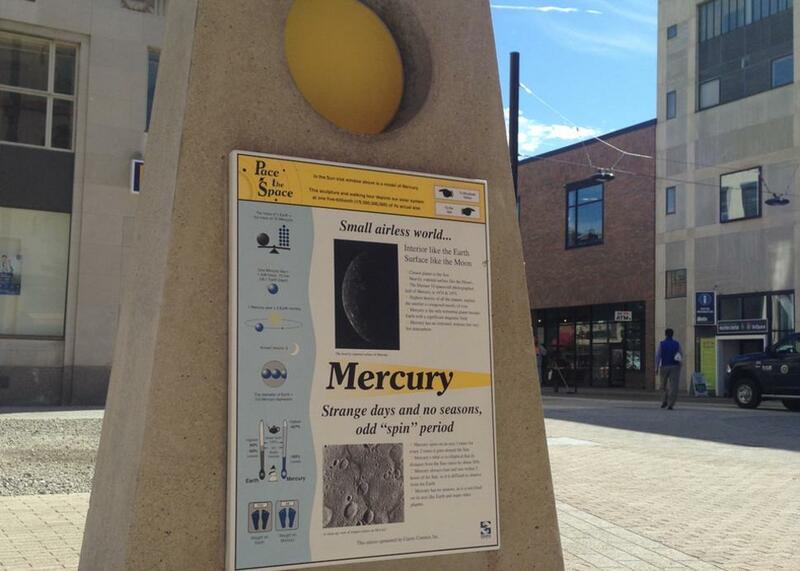 Forget it – this planet is hot and gaseous, and has no solid surface.